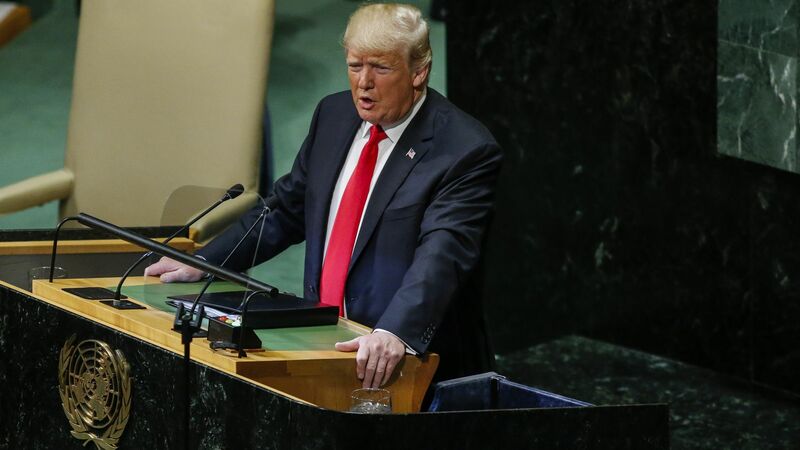 President Trump's blunt-force diplomacy at the United Nations yesterday reflected one of the quirks of his style on the world stage. The big picture: He shuns European allies. Stunningly, he made zero mention of Britain or France, and his only mention of the Germans was to say that if they don’t change course, they’ll become "totally dependent on Russian energy." And he saves his sweetest words for individual world leaders — even adversaries, conveying his "great respect and affection" for his "friend" President Xi Jinping of China, and thanking North Korea's Kim Jong-un for his "courage."